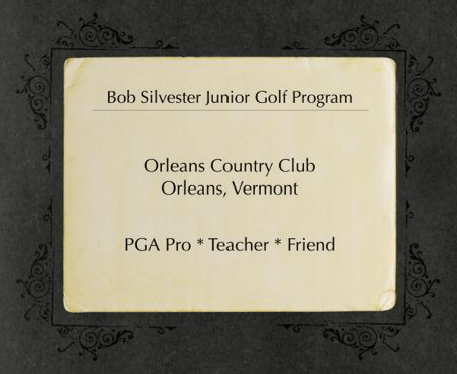 In 2014, the Orleans Country Club board of directors and its members recognized Bob Silvester’s contribution, support, and continued involvement (even after retirement) of junior golf activities by officially acknowledging the junior program as the Bob Silvester Junior Golf Program. We were able to bestow this honor to Bob prior to his passing on October 23, 2014. A commemorative album that embodies the man behind the name and the history of the junior golf program is on display in the pro shop. The final clinic on July 21st, is usually a Fun Day playing a few holes of golf in groups by age and with prize giveaways. More information will become available as we approach this date. There is no cost and all equipment and golf balls are provided! Volunteers should arrive prior to 9:45AM. 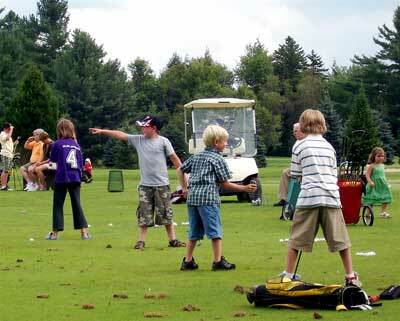 NEK Junior League Golf is designed to bring a “Little League” atmosphere to the game of golf. With teams of boys and girls, age 15 and under, provides a structured league environment for young golfers to compete and have fun! This is a great way to get, and keep, kids involved in the game! The fee for the Junior League Golf is $100 and the practice dates are on Fridays starting June 29, 2018. Three matches will be scheduled over the course of the summer. REGISTER IN THE PRO SHOP! New Program . . . . REGISTER IN THE PRO SHOP or call (802) 754-2333! Did you know youth 12 and under can PLAY golf for FREE when accompanied by an adult? Some restrictions apply (see pro shop for details). Dues for ages 13 to 18 are ONLY $105 plus tax. To apply for a FREE membership, see the Jesse Strong Memorial Junior Golf Membership below. Juniors have FREE driving range privileges (age 18 and under). Go to the pro shop, ask for a bucket of balls and head out to the range. This program is sponsored by Saint J Auto. Private lessons can be scheduled with our PGA Golf Pros, Josh Olney & Dave Jankowski. Marine Sgt. Jesse W. Strong died January 26, 2005 serving during Operation Iraqi Freedom. Jesse was from Irasburg, VT and was 24 years old. In honor of Jesse, the Jesse Strong Memorial Junior Golf Membership was established originally by a anonymous donor and has been taken over by the Bob Silvester Junior Golf Program. If you are between the age of 13 to 18, you are eligible to apply for a FREE membership, the Jesse Strong Memorial Junior Golf Membership. Applications are available in the Orleans Country Club Pro Shop! Interested teens are asked to schedule a time to meet with Josh Olney and/or Dave Jankowski. Both are PGA pros! They would like to talk with you, maybe even play a few holes of golf with you! Original event cancelled due to extreme heat. Family Day Scramble now scheduled for August 12, 2018. See details above. Established in 2015, this annual fundraiser for the BSJGP serves as the sole source of revenue to support junior golf at OCC. Junior golfers are teamed with the members/guests that sign-up for this tournament. Prizes will be awarded. There will be other golfing contests/raffles planned as well. Hole sponsors will also be solicited to support this event and junior golf at OCC. 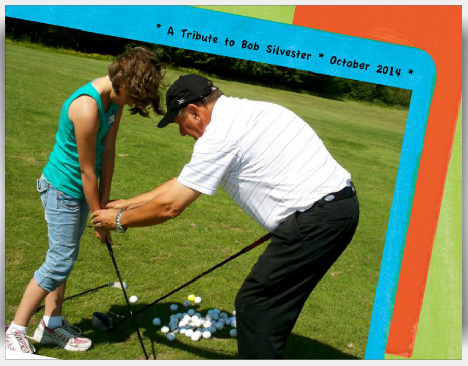 All participants will enjoy, a 9-hole scramble, prizes and games to support the Bob Silvester Junior Golf Program at OCC. Download the 2018 Bob Silvester Jr. Golf Scramble application here! This experience is for junior golfers who are just starting to play the game or desire to play the game and will include a basic introduction to the game of golf, the rules and etiquette of golf, pace of play, course management and how to play the game which will be based upon the golfing skill and knowledge of the interested junior golfer. Juniors will be matched with an OCC member and the mentor and junior can schedule their outings at their convenience. If interested, check in with Josh Olney, PGA in the pro shop. August 4, 2018 – Junior Golfers 13-18 are invited to compete in our Junior Golf Championship on Saturday of our CLUB CHAMPIONSHIP weekend. The Arthur Mandros Scholarship was established in 1994, in memory of the Orleans Country Club long-term PGA Golf Pro, Arthur Mandros. The first scholarships were awarded in 1995. The recipients are chosen based on their affiliation with golf and the Orleans Country Club. In 2018 the name of the scholarship was changed to the Arthur Mandros/Bob Silvester Scholarship. Bob Silvester, like Arthur, was a long time PGA Golf Pro at Orleans Country Club. Bob had worked for Arthur as his Teaching Pro, and then took over for Arthur when he had to retire due to illness. Bob Silvester also has passed and their names were combined for the scholarship. The idea is to support young people from the area, who hopefully will complete their post high school education and continue to support and participate in activities at Orleans Country Club. If you are interested in applying for the Arthur Mandros / Bob Silvester Scholarship, pick up a generic scholarship form from your guidance counselor. Send the form along with a cover letter explaining your affiliation with Orleans Country Club by the first of May. The Vermont Golf Association also has a scholarship program! Download the 2018 VGA Scholarship form, here. The Vermont Golf Association is dedicated to growing the game of golf by offering a selection of competitions for the beginner, intermediate and advanced golfers. For more information go to this link on the Vermont Golf Associations web site. Click HERE!